XCEL is an alternative USA Gymnastics competitive program offering individual flexibility to coaches and gymnasts. The goal of XCEL is to provide gymnasts of varying abilities and commitment levels the opportunity for a rewarding gymnastics experience. 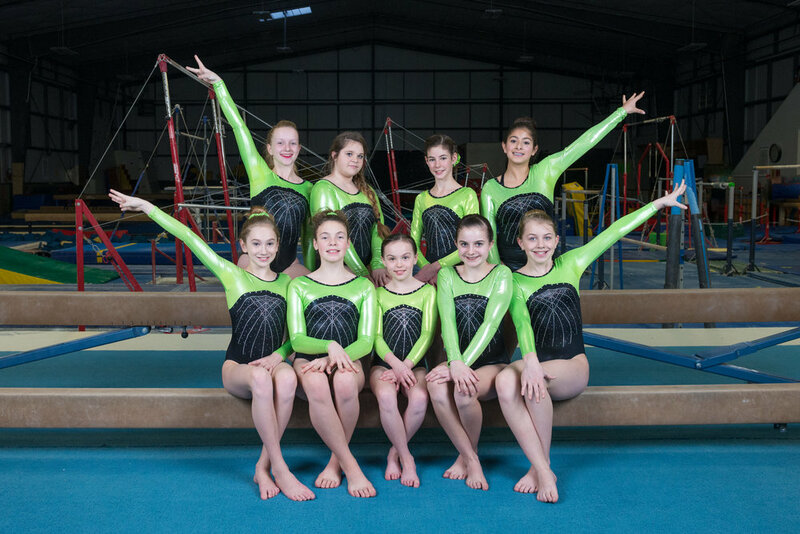 XCEL is for gymnasts age 5 - 18 want to experience the competitive world of gymnastics, but whose main priority is to have fun and build friendships in an exciting and high-energy extra curricular activity rather than strive for college scholarships or elite level gymnastics. XCEL is an important part of our competitive Team program. XCEL practices are shorter and less intense than Junior Olympic Team practices, but XCEL gymnasts still learn an impressive skill set and are fully part of the Danik Competitive Team. XCEL divisions compete locally and sometimes out of state. The actual meet schedule varies every season, but typically there are around 10 competitions each year. We are lucky to have a strong group of three team coaches to work with our XCEL athletes. Our XCEL director, Tiffany, is also a USAG certified gymnastics judge through level 8 and has valuable experience that she leverages in training our other coaches. This provides a quality coaching situation for your gymnast in Danik's XCEL program. At Danik our philosophy is to focus on perfecting the basic skills and strength. We only advance gymnasts to the next level when they have the adequate skills. This solid foundation allows our gymnasts to learn the more difficult skills correctly and safely. We require our athletes to have a strong work ethic, respect for their coaches and teammates, and to love and enjoy the sport of gymnastics. We also have a wonderful group of parents that help us put a strong emphasis on team building inside and outside of the gym, our group of girls are very close and supportive of each other while maintaining a healthy level of internal competition. We have a strong future ahead, and look forward to our ever-growing program going above and beyond each year! Our girls did great at State this year. Two of our three XCEL teams took 1st place! Photo Content provided by Spencer Henze Photography.